Seniors (65+), Military, Veterans, & Emergency First Responders receive a $2 admission discount every day (with valid ID). Weekend Festival admission includes tractor-drawn wagon ride, corn maze, corn stalk labyrinth, Pig Races, Animal Show, Pumpkin House, Pumpkin playhouse, live music and entertainment, access to Pick-Your-Own fields and Pumpkin Patch, Animal Center including Bee Barn, hay pyramids, Fun Hill, Kid's Corral, Farmer Craig's Chicken Show, Combine Slide, Cotton Harvester Slide and more! For information on activities included with weekday admission as well as ticketed attractions and prices, please visit our admission & tickets page. Tickets can also be purchased at gate. See gate admission above. Weekday tickets are purchased at gate only. Our 22nd Fall Harvest Festival kicks off with Friends of the Farm Weekend on Saturday, September 28 & Sunday, September 29. 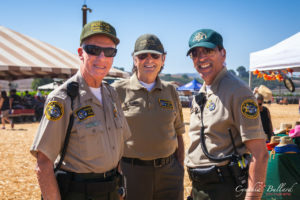 The proceeds from the weekend's gate will help benefit The Ventura County Sheriff's Explorers Program, VCSO Foundation & Search and Rescue Groups, Thousand Oaks Volunteers in Policing & Disaster Response Team (DART), and The Ventura County Fire Department's Charity Groups. It will be filled with demonstrations including Fire Trucks, Ambulances, members of the Bomb Squad with their bomb robot, Swat members with SWAT tank type vehicle, Search and Rescue Snow Cat, K-9 Demonstrations, Disaster Action, Response Team display (DART), Police Car, Police Motorcycle, Search and Rescue Displays, a Dozer plus MUCH, MUCH more! There will even be free displays outside the gate. Don't miss AMR CPR chest compression training from 11am - 3pm, Pumpkin Drops at 11:30, 1:30 & 3:30, the Bomb Squad and Bomb Robot demo at 12:30, & the Sheriff's Department Pig Race at 1:00pm. Weekend Activities and demonstrations are Subject to change at any time. October 5 & October 6 is Farm Country Weekend! It'll be down home fun on the farm complete with country and bluegrass music and a live-remote visit from favorite local station KHAY. 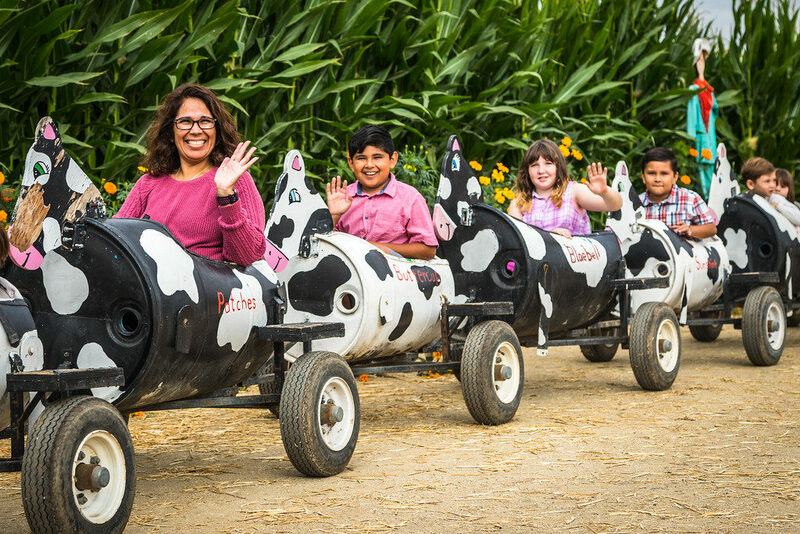 To receive a coupon* for $5.00 off your admission on Friends of the Farm Weekend and Farm Country Weekend, visit the main page of our website and click on the icon "Join Our Mailing List". *Please note: The $5.00 off coupon is for up to four people & is valid on Friends of the Farm Weekend and Farm Country ONLY. $5.00 off coupon cannot be added to on-line tickets or any other discount pass or customer appreciation program. Deadline for Friends of the Farm weekend coupons is Wednesday, September 25. Friends of the Farm Weekend coupons will be emailed the evening of Friday, September 27. Deadline for Farm Country coupon submission is Wednesday, October 2. Coupons cannot be combined with $5.00 off coupons on Friends of Farm or Farm County Weekend. Friends of the Farm Weekend coupons will be emailed the evening of Friday, September 27 and Farm Country on Friday, October 4. Emails submitted after the deadlines are not guaranteed to receive a coupon. If you submitted your email prior to the deadline & did not receive your coupon by 8:30pm on 9/27 or 10/4, please check your spam folder. 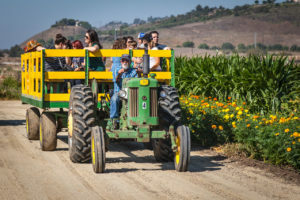 Antique Tractor Weekend returns on October 12 & 13 (10am-4pm) with antique tractors and even a tractor parade by none other than Ventura County's Topa Topa Flywheelers! October 19 & 20 is Western Weekend! 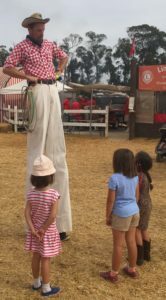 From 11am - 3pm, there will be stunt ropers, a covered wagon, music, magic and much more! At 3:00, the cowboys ride off, but the Festival continues until 6:00pm with music, games, rides, races and tons of family fun. 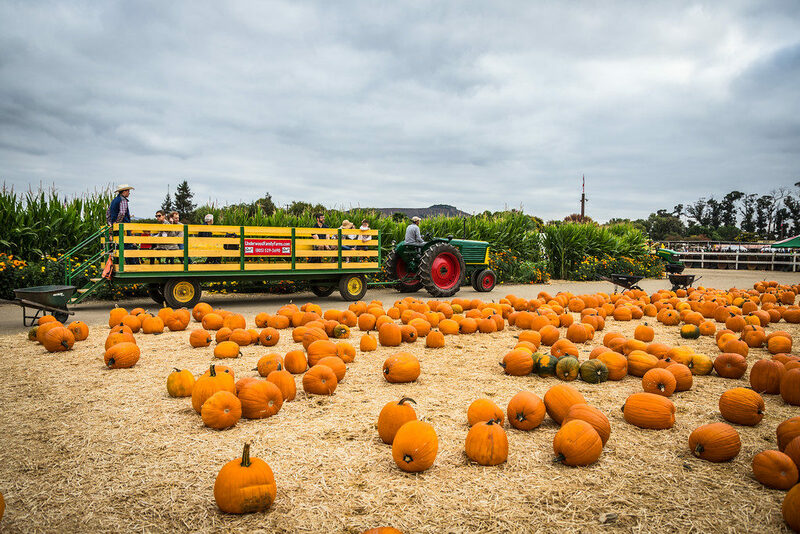 Our last weekend of the Festival is All About Pumpkins on Saturday, October 26 & Sunday, October 27 filled with with live entertainment from 10:30-5:30! We'll have pumpkin demonstrations & feature displays of pumpkins, squash, and gourds as well as new and different ways to decorate them! Don't miss our favorite bands The Catterwailers & Rocky Neck Bluegrass! We will carry many varieties of gourds, winter squash, Indian corn, and other fall decorating accessories available for purchase, as well as a large selection of pumpkin carving accessories. Don't forget to visit our amazing country store! 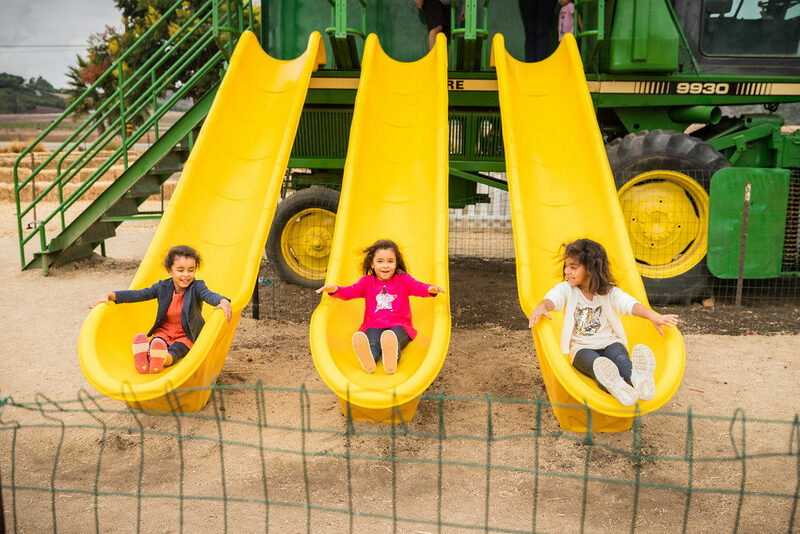 And, of course, it wouldn't be a Fall Festival without acres and acres of pumpkins (AKA - a pumpkin patch), country games & activities pig races and great photo opportunities! The 2019 Festival will be open from 9:00 am until 6:00 pm. Admission to the Festival is $8.00 Monday - Friday, $16.00 on September 28, September 29, October 5 & 6 and $22.00 on October 12, 13, 19, 20, 26, & 27. Children under 2 are free PLUS parking is FREE! For your convenience & to save time, tickets can be purchased on-line beginning August 28, 2019. 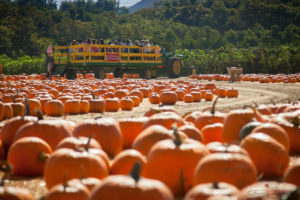 Weekend admission includes a tractor-drawn wagon ride, the corn maze & hay pyramids, Animal Center with Fun Hill, Craig's Chicken Show, Kid's Corral & play area PLUS live bands including themed-weekend entertainment, the Animal Show, Pig Races & tons of open space & photo ops in the pumpkin patch! 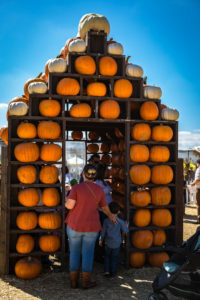 Don't miss the Pumpkin House and Pumpkin Basket - a great opportunity for photos. For information on weekday activities, please visit the admission page. We are proud contributors to many local non-profit organizations. 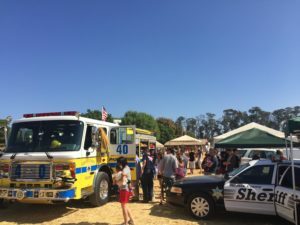 A portion of the proceeds helps support the Rotary Club, Pleasant Valley Lions Club, Boy Scouts of America, Ventura County Sheriff Explorers and Foundation, Ventura County Fire Department's charitable organizations, numerous high school groups and many other non-profit organizations. To make the Festival safe and fun for all, we do have a couple of rules while on the farm. Please make sure to read them over before your visit. If you have any questions, you may e-mail us or give us a call at (805) 529-3690. If you have any questions about the weather, please check the weather in our area on-line or visit the Moorpark page. We appreciate your understanding and we look forward to seeing you this year at the 2019 Fall Harvest Festival!